Every experienced artist knows that watercolor can be a difficult media for beginners. If you want to start at the very beginning of learning how to watercolor, this project is perfect for you! 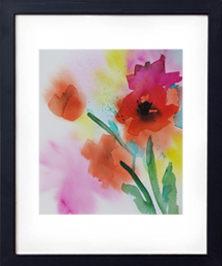 In this gorgeous flower scene Sharon teaches students the basics of watercolor. With Sharon’s guidance and the students imagination, the world of watercolor will open up in all its rich and flowing color.